Set deep in the rugged Zambezi Valley, Mana Pools National Park is one of Zimbabwe’s premier game viewing areas. Its northern boundary is the Zambezi River – wide and slow-moving at this point and with its banks covered in forest. Away from the river, a wild savannah landscape opens up, dominated by four pools (‘Mana’ means ‘four’ in the local language). In the distance, across the river in Zambia, silent shimmering mountains provide an impressive backdrop. The abundance of water attracts great numbers of animals, especially in the long dry season when wildlife gathers in increasing concentrations around the pools and the river. A Mana Pools safari is generally very rewarding at this time: elephant and buffalo crowd the water along with zebra, warthog and many kinds of antelope. 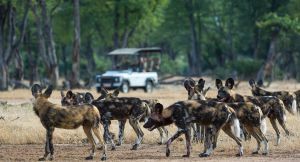 Predators make the most of the bounty – lions, leopards and spotted hyena are all resident, and it’s one of the best places in Zimbabwe to see African wild dog. Mana Pools is best experienced as a fly-in destination. There are comfortable safari lodges, set in the park or in an adjoining private concession, each offering a wide range of activities. 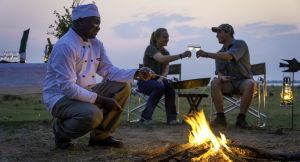 Guests enjoy morning and afternoon game drives as well as spot-lit night drives for those in a concession. 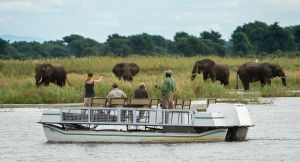 Guided walking safaris are also conducted, and you’ll explore the river by motorboat. For the adventurous, you can paddle the Zambezi in a kayak – choose between morning excursions and overnight journeys, all in the company of expert guides. Talk to Safari Online about a Mana Pools National Park safari. We’ll recommend the best tour or accommodation for your requirements. 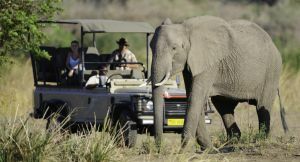 We can also tailor-make an itinerary for you that includes Victoria Falls and Zimbabwe’s other top safari destination – Hwange National Park, home to the biggest elephant herds outside of neighbouring Botswana. Sit back on morning & afternoon game drives & let the Mana Pools drama unfold. Vehicles are raised high off the ground & have open sides and roof to ensure perfect photographic opportunities. 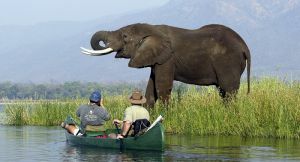 It’s Mana Pools’ trump card: paddling slowly down the Zambezi in a kayak. You’ll be in big game country but your expert guides know the way – choose from morning meanders to all-day adventures. Thanks to Zimbabwe’s reputation for highly trained guides, you can be assured of an unforgettable on-foot experience. Walks range from a 2-hour nature ramble to multi-day hikes. Stay at a lodge in a private concession & you’ll stay out after dark … with a spot light. It’s the best way to see elusive animals such as bush babies, porcupine & wild cat. 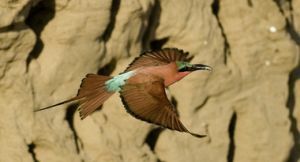 With around 400 bird species, Mana Pools is a birder’s favourite but every visitor is impressed by the amazing birdlife: fish-eagles, giant owls, colourful clouds of carmine bee-eaters are among the top sightings. 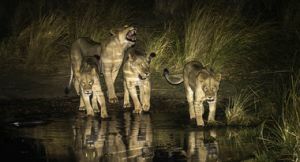 Year-round water & abundant game makes Mana Pools a predator paradise. Lions & hyenas dominate the savannah, leopards lurk in the forests & crocodiles line the river banks. African wild dogs are a highlight. 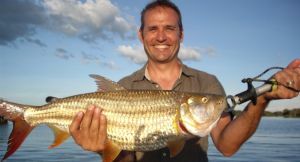 A few lodges offer catch-and-release fishing in the Zambezi River. If you’d like to spend an afternoon casting for bream or wrestling a toothy tiger fish, then come fishing in Mana Pools. 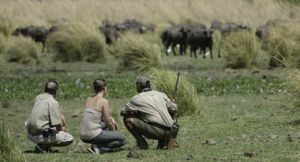 Swop an afternoon game drive for a motor trip, a great way to discover the Zambezi. You’ll spot elephants, hippos & crocodiles plus dozens of different birds & finish the day at the best sunset spots.